During my 10 years working disasters at the federal level, I’ve worked with countless emergency managers and public administrators. I’ve also worked with their executives (mayors, governors, county executives, agency heads, etc.). I’ve seen good collaboration between administrators and their executives during emergency and I’ve seen plenty of bad. It surprises me how often an emergency manager or public administrator constrains their crisis response efforts by improperly engaging with their own executive. Let me share my perspectives that have come from being the bridge between these parties. On the part of the emergency manager, I’ve met some that carried one or more of the following fears which inhibited their open and effective use of the executive’s office. First, some fear the pain of educating a powerful and potentially disruptive novice on matters the executive has never paid any attention to before the incident. This type of manager fears inviting the bull into the china shop. Second, some fear that opening the door a little wider will invite too many people into the room and reduce the relevance and empowerment of their position. This actually happens a lot when executives suddenly ignore the years of experience of some emergency management staff and appoint others (often novices) to lead the charge. Third, some fear that their smart, need-based response priorities will be placed second to priorities focused on matters that are not as critical (redirecting resources to political demand instead of real need, for example). I’ve seen all of these fears inhibit action during crisis. Sadly, I’ve seen all of these fears proven. In other words, it’s not irrational to have these fears as an administrator in the midst of crisis. To the extent the emergency manager acts to distance the executive, he or she is choosing to ignore the important potential of the office as well. As emergency managers or public administrators, we should embrace the inherent risk of opening that door wider. Granted, sometimes the administrator has little control over the executive’s engagement. But often they do influence the involvement of the office during crisis. How should crisis managers view the office of the executive? Simply stated it is their most important relationship. If you’re reading this and think I’m being too obvious or pandering, please read on. 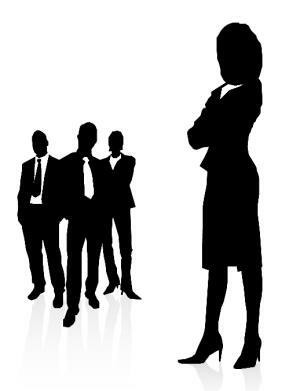 (1) The executive who perceives weakness or disengagement in your actions is more likely to dis-empower you. (2) The executive is a partner in the mission with shared and/or complementary priorities. (3) The executive can add or remove resources from your control. (4) The executive can put power behind and draw attention to your messaging (internal and external). (5) The executive, properly engaged, is more likely to empower you now and in the future. I’ve learned that the needs of the executive and the needs of their emergency manager or any leader during crisis aren’t that far apart. At the root is the synergy between two critical concepts: presence and relevance. After an emergency, the executive needs to be present and relevant to his or her constituency. Many big city mayors have figured this out. Mayor Michael Nutter of Philadelphia, Pennsylvania comes to mind. He is visible, empathetic, on message and works in concert with fire, police, emergency management and other departments. Why? Because he knows the synergy between the public need, his needs and the needs of his administrators. The emergency manager or public administrator leading during crisis likewise needs to be present and relevant, just in different ways. For the emergency manager or administrator, they need to be present with their executive, having access and giving access, ensuring the executive sees their capabilities, learns the needs and shares priorities. For the executive, the emergency manager can use the office for the good of the mission and also create opportunities for executive visibility, unity of message and the encouragement of proper actions from the public. So if you’re an emergency manager or public administrator who might lead during crises, engage with your executive now before the disaster occurs. Make sure that s/he knows you’re committed to the relationship and understands that there is unity between their needs and yours after incidents. To say it even more simply: make sure the executive knows you’re on the same team. In next month’s column I’m going to argue that we should never “waste” a disaster. We should take advantage of certain aspects of the disaster and emergency environment to do long-term good.